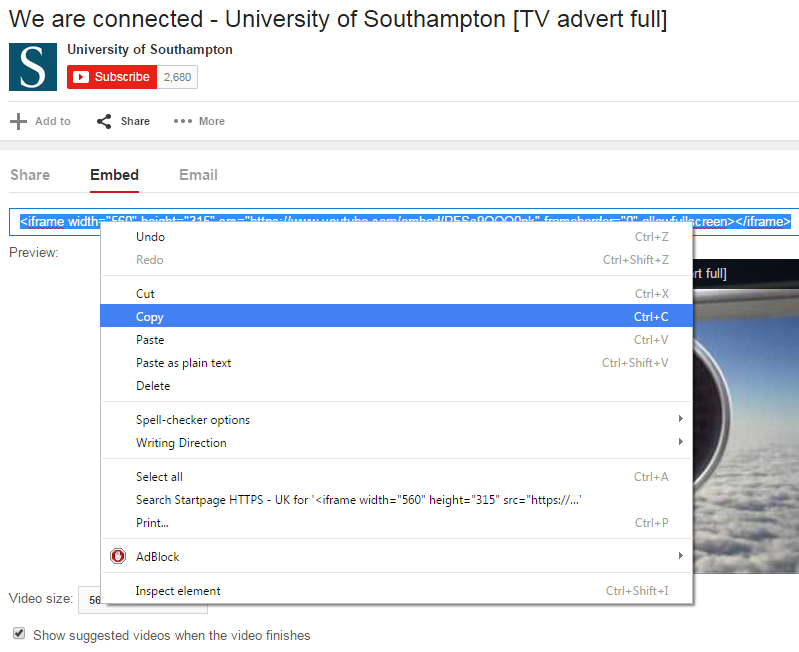 Embed a YouTube video to your Blackboard course. 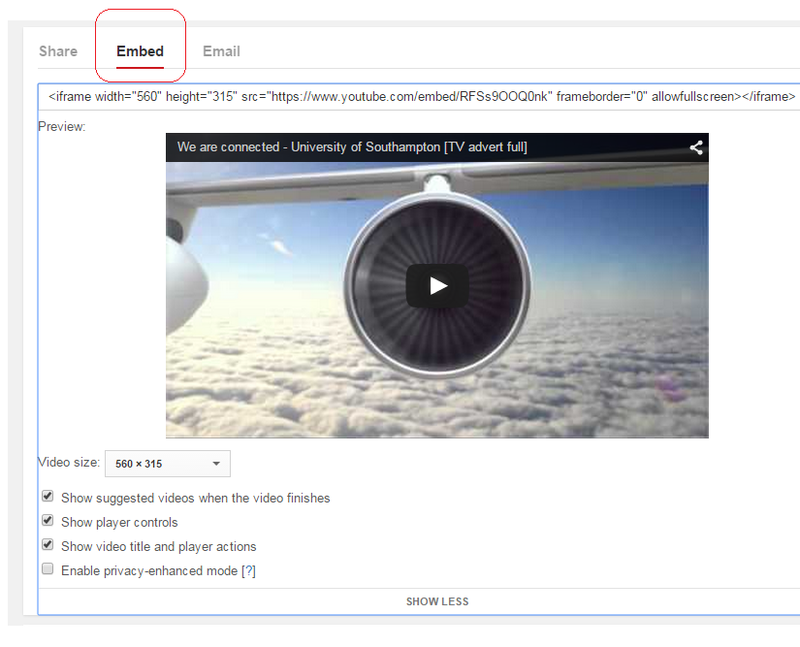 This guide shows how to get an embed code from YouTube to use in your Blackboard course. YouTube is a third party web site and iSolutions cannot be held responsible for the content held on it. Users should read the YouTube terms and conditions. 3. Hover your mouse pointer over Build Content and then click on Add Item. 4. Enter a Name for your item. For example the video title. 5. If you wish pick a colour for that name to appear in. 7. 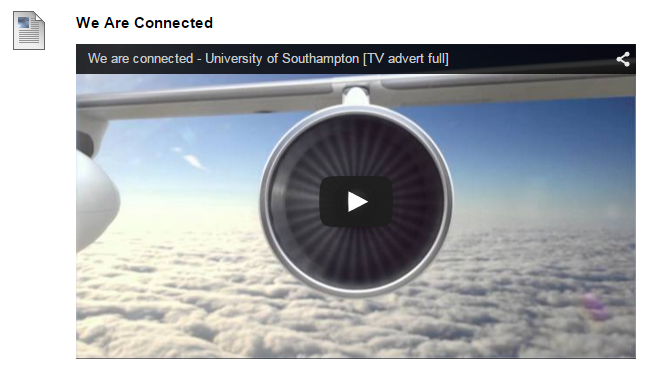 Find the video you wish to embed. 10. Click on Show More to reveal all the options. 11. Set the video size you prefer and choose the other options according to your preference. If in doubt leave the options at the default settings. 12. Select all the text in the text box as shown in the screenshot and copy it to the clipboard. You can do this by right clicking and choosing copy, or by pressing CTRL + C.
13. Go back to your Blackboard tab. 14. Click on the HTML button within the text box to open HTML mode. It will open this in a pop up window. 15. 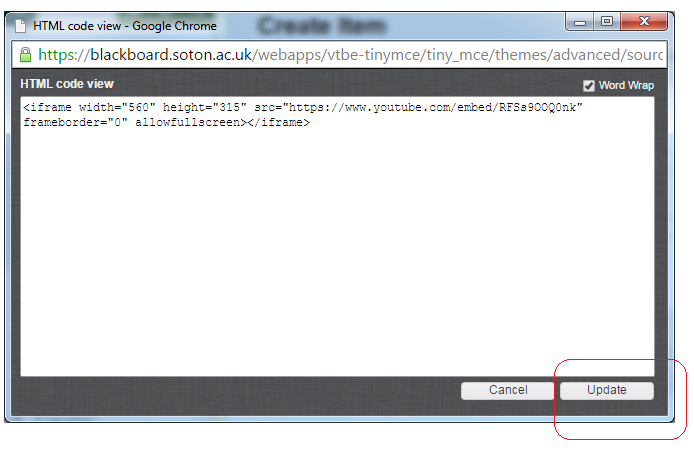 Paste the text you copied into the clipboard from YouTube into the Blackboard text box. One way to do this is to right click within the text box and choose paste or press CTRL + V.
17. Set any other options as you wish, scroll to the bottom and click on Submit. 18. 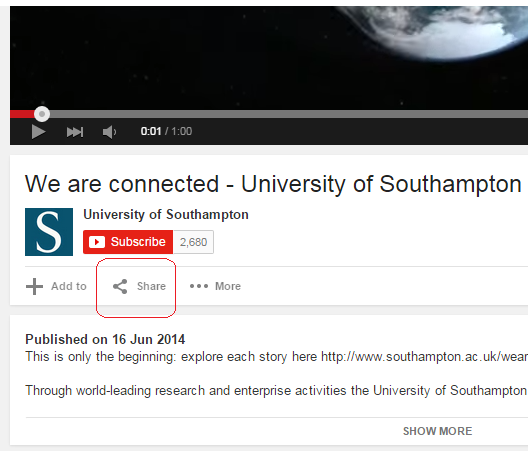 The YouTube video will now appear in your Blackboard course.